Russian President Vladimir Putin Thursday watched a huge simulated battle put on by Russian and Chinese troops, as he attended the largest so-called war games in his country’s history. 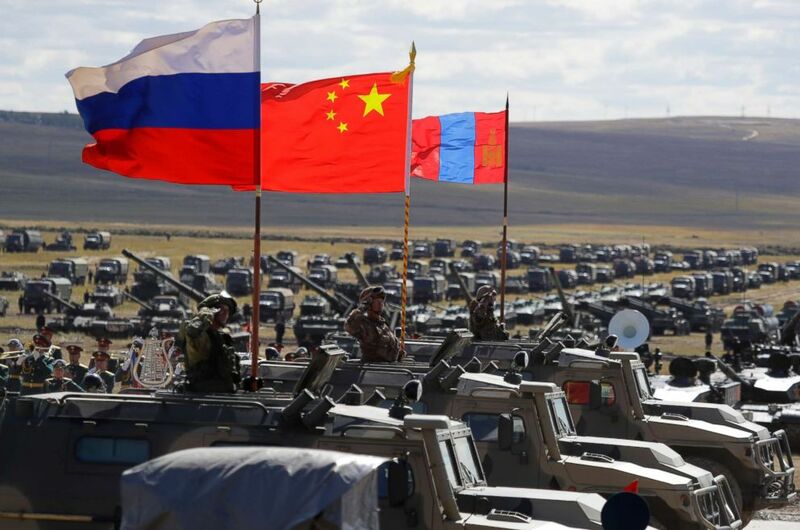 (Sergei Grits/AP) Russian, Chinese and Mongolian national flags set atop armored vehicles during military exercises in Eastern Siberia, Russia, Sept. 13, 2018. 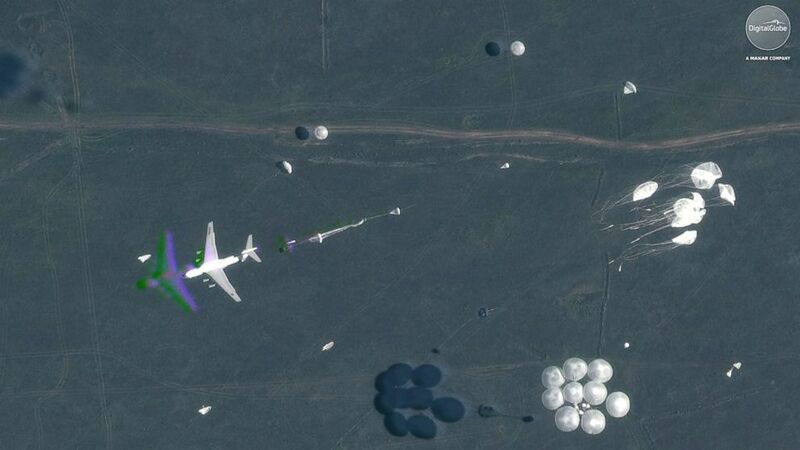 (Satellite image (c)2018 DigitalGlobe, a Maxar company) A satellite image shows parachutes deployed in midair during Russia's "Vostok 2018" military exercises in Tsugol, Russia, on Sep. 13, 2018. 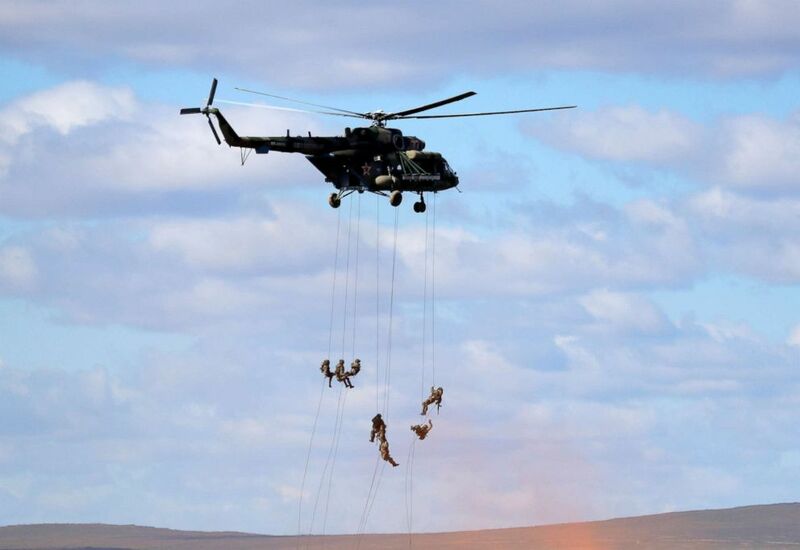 (Sergei Grits/AP) Soldiers rappel from a military helicopter over the training ground "Tsugol", north of the city of Chita during the military exercises Vostok 2018 in Eastern Siberia, Russia, Sept. 13, 2018. 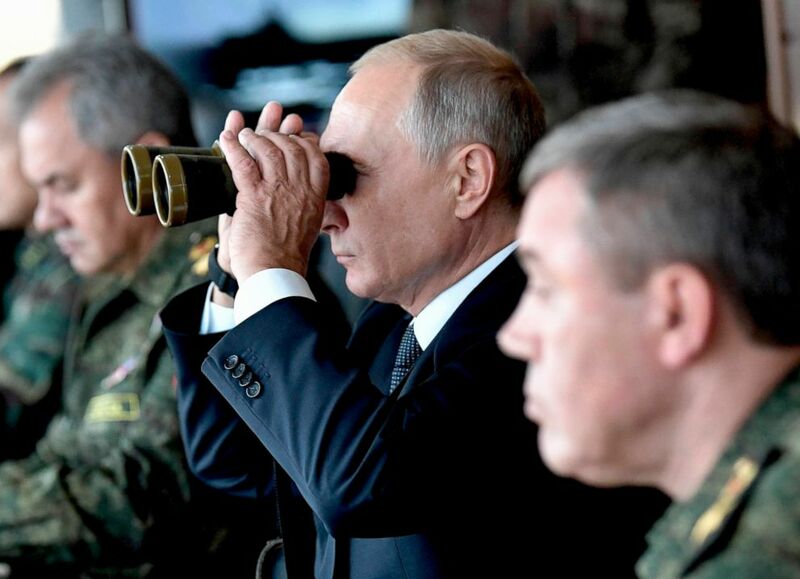 (Alexei Nikolsky, Sputnik, Kremlin Pool Photo via AP) Russian President Vladimir Putin looks through a binocular as he visits the training ground "Telemba", during the military exercises Vostok 2018 in Eastern Siberia, Russia, Sept. 13, 2018. 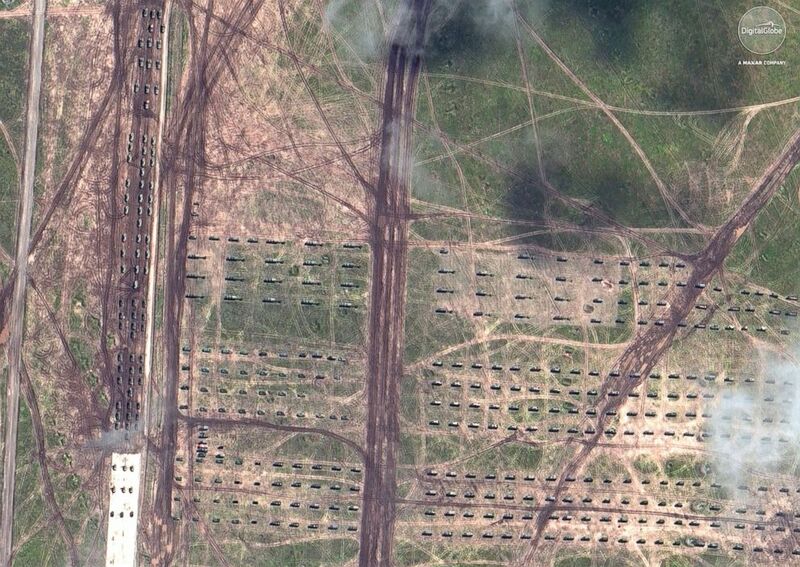 (Satellite image (c)2018 DigitalGlobe, a Maxar company) A satellite image shows artillery and armored vehicles in formation during Russia's "Vostok 2018" military exercises in Tsugol, Russia, on Sep. 13, 2018. 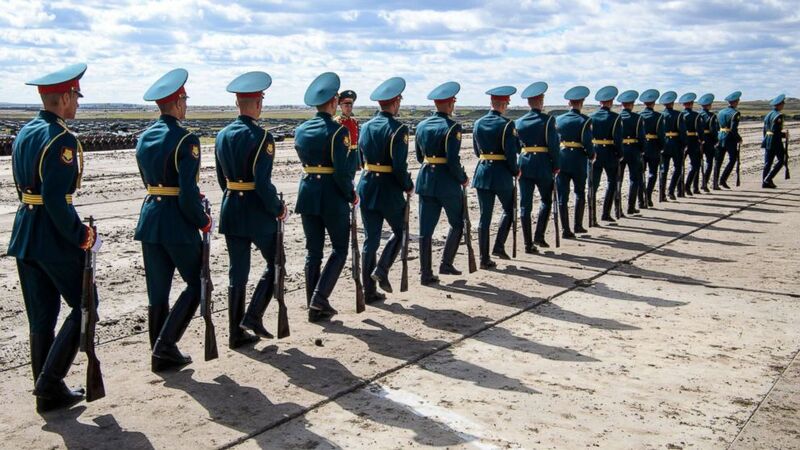 (Mladen Antonov/AFP/Getty Images) Russian honor guards are seen during the Vostok-2018 military drills at Tsugol training ground not far from the borders with China and Mongolia in Siberia, Sept. 13, 2018.